Halo Wars 2, the new entry in the series currently in development by 343 Industries in collaboration with The Creative Assembly, has recently received a new trailer which introduces players to the game’s central villain. His name is Atriox, a Brute enslaved by the Covenant who eventually rose up against his masters and became a legend. His rebellion inspired the birth of The Banished, a savage army of mercenaries and killers now on the brink of acquiring the most powerful weapons platform the galaxy has ever seen. The only things between Atriox and his prize are Captain James Cutter and the crew of the USNC Spirit of Fire. Outgunned and long past any hope for reinforcements, Cutter’s survival depends on how quickly he can master the first law of the battlefield: Know your enemy. It’s also been confirmed that those who will purchase the Halo Wars 2 Ultimate Edition will also have access to the Halo Wars Definitive Edition, remake of the original Halo Wars, from December 20th. Work on Halo Wars 2 will hardly be done once the game launches in all regions. Last month 343 Industries Dan Ayoub confirmed that the team will be supporting the game quite a bit after launch like the team did with Halo 5 Guardians. 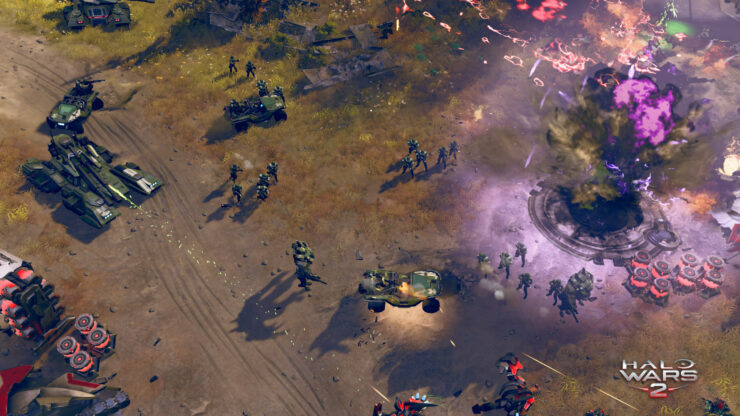 Halo Wars 2 launches next year in all regions on PC and Xbox One. We will keep you updated on the game as soon as more comes in on it, so stay tuned for all the latest news.